Solar generated electricity, using photovoltaic (PV) cells, is an essential part of China’s low-carbon strategy and fulfilment of her commitment to reduce emissions and increase the proportion of non-fossil fuel energy to 15% of all primary energy used by 2020. However, according to a joint article on 13 August 2018 by the UK based Chinadialogue and clean and sustainable international organisation Energy Observer, the success of these initiatives have also created some problems which we elaborate on further in this article. China’s solar generated electric industry has been expanding massively, thanks to six measures introduced by the State Council in June 2013 to support the industry with policy assistance, guaranteed purchase of solar power, improved electricity pricing policy, funding support, funding for research and design, and support for mergers and restructuring. Rather ironically, this decision was made in response to anti-dumping measures by the European Union and the United States that year, to curtail imports of China-made solar photovoltaic (PV) products which reduced China’s overseas sales of PV products. So to make up for reduced exports, the State Council introduced the above measures to stimulate growth in China’s domestic PV market, including subsidies for utility-solar PV generating plants. This is large solar farms which feed into the national electricity grid. For distributed-solar PV generation – i.e. rooftop solar panel installations – small solar farms serving remote villages, housing estates, industrial estates and so forth. Here, the National Energy Administration (NEA) sets annual targets for installed solar capacity, which is eligible for government subsidies, whilst at the local level, development and reform commissions are responsible for approving projects, though these led to problems of coordination as we shall see further down. In theory, subsidies are limited to projects that fall within the NEA (central government) targets, although local governments may also provide subsidies and as there was no target set for distributed solar capacity, this led to strong growth in the distributed solar market. In 2017, 19.44 gigawatts (GW) of new distributed solar was added – equivalent to the total over the past three years. An additional 7.68GW was added in the first quarter of 2018, up 217% year-on-year and 79.6% of all new installations in China. These policies divided China into three regions according to their suitability for solar generation, with prices paid per kilowatt hour set at 0.90, 0.95 and 1.00 yuan accordingly, whilst distributed solar installations were subsidised at 0.42 yuan per kilowatt hour. All this provided a huge stimulus for corporate investment in solar PV. With guaranteed prices, China’s solar power manufacturers and other companies began to build solar farms. A report on clean energy in China by Deloitte published in December 2013 found 130GW of ‘queued’ solar projects, or over three times the 35GW target for solar generated electricity under China’s 12th five-year plan (2011 to 2015). Around July 2018, China’s total PV generation capacity stood at 154.51 GW, about one-third the world’s estimated 450GW of solar PV capacity installed at the end of June 2018, thus making China the world leader in terms of installed PV capacity, according to Frank Haugwitz, Director of the Asia Europe Clean Energy (Solar) Advisory group, which closely monitors China’s solar generated electricity industry. Of China’s 154.51 GW, 112.6GW was utility-solar PV capacity and 41.9GW being distributed PV generation capacity. This 155.51 GW solar PV electricity generated in China that year exceeded by over 50% the 13th five-year plan’s (2016 to 2020) target of 105 GW of PV plus 5 GW of CSP (concentrated solar power). To digress, CSP-generated electricity employs a large array of mirrors or lenses which focus the rays of the sun onto a small area such as a boiler to generate steam which in turn is used to generate electricity. CSP-electricity generation plants also have an advantage over PV plants in that CSP can also be used to melt salts which serve as a store of heat which can be used to continue to generate electricity after the sun goes down or during dull days, whilst PV-electricity generation requires sunlight. Total CSP installed capacity worldwide in 2016 was 4,815 MW (yes MW) and it cannot compete on price with PV-solar and the falling prices of PV panels. Thus with the assurance of guaranteed electricity prices, China has led the world in new solar installations in each of the past five years. 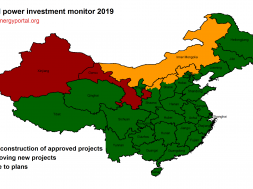 In 2014, China’s National Energy Authority (NEA) had begun trying to manage the expansion of the solar sector in 2014, but its objectives were not in sync with the interests of local governments, so its policies were not properly implemented. To encourage investment, some local governments adopted a ‘first-built, first-served’ policy, whereby as distributed solar installations were completed, they were included into annual quotas and became eligible for subsidies. For instance, Anhui province in Eastern China explicitly stated in a notice published in 2016, that projects would be included in annual quotas in the order of their connection to the electricity grid, and this resulted in far more capacity being constructed in excess of what annual quotas allowed for – such as 2.55GW of new capacity built in Anhui in 2016 when the quota allowed was just 0.5GW or less than one-fifth of capacity built. According to Wang Liguo and Ju Lei at Dongbei University of Finance and Economics, who had studied the roots of overcapacity in the solar sector, this explosion in solar electricity capacity resulted from businesses and local governments, and literally forced national energy authorities to respond to this growth, rather than the national authorities effectively leading and regulating this sector in sustainable development. The excessive focus on expansion of installed solar PV capacity resulted in a considerable proportion of power generated being wasted due to the ability of the electricity grid to absorb it, due to poor coordination between central and local governments. This was evident in China’s north-west where 40% of China’s total solar PV capacity is concentrated in five provinces – i.e. Shaanxi, Gansu, Qinghai, Ningxia and Xinjiang, where the most solar power is also wasted. Since, the construction of solar PV installations was not coordinated with power grid construction, the grid has limited ability to absorb the extra power and connection to the grid has been difficult, with figures by the NEA showing that 19.81% or one-fifth of solar PV electricity generated across these five provinces was being wasted, and the NEA wants to reduce such wastage to 5% nationwide, but this is not an easy task due to several factors. According to Fan Bi, former head of the General Economy Department at the State Council’s Research Office, the intermittent nature of solar power causes problems if large scale, concentrated generation needs to be connected to the grid. Whilst ultra-high voltage lines can be used to carry the power 1,000 or more kilometres to eastern and central China, however energy loss through transmission and in transformers makes this a hugely uneconomical option for the State Grid. Also, the provinces which would receive this renewable energy generated are not enthusiastic either, since they regard it as conflicting with the interests of their own utility companies. Another problem is that whilst guaranteed electricity prices provided an incentive to the development and supply of renewable energy, however they didn’t create demand for that power, so there needs to be a better coordination between the different interests on the grid, power generators, and consumers to ensure a stable market. So in March 2018, the NEA put forth details of plans to establish a renewable energy quota system, which would require each province to source a certain percentage of electricity from renewables, whilst passing the cost of the quota obligation onto market players, such as power networks, electricity suppliers and major electricity consumers. However, there already are some issues with quota system. A government’s work report in 2018 called for large reductions in the non-taxation burdens on companies, and specifically for reductions in power distribution and transmission network charges, with ordinary industrial and commercial electricity costs falling 10%. Also, whilst on the one hand, a renewable energy quota system could prevent the waste of solar power, however it would mean higher prices and with the government hoping to boost business competitiveness, it may be reluctant to implement the proposed changes. 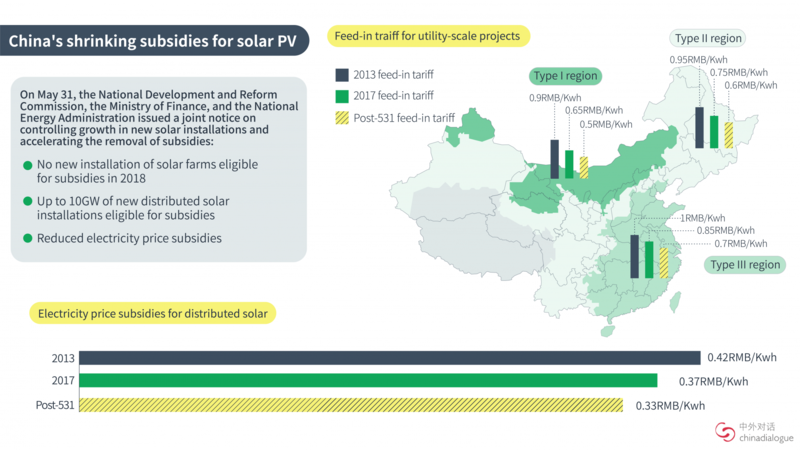 So in June 2018, China’s government dropped a proverbial bomb on its own burgeoning solar energy sector by drastically cutting the subsidies, tightening the conditions for eligibility for subsidies and more greatly centralising authority to grant subsidies. 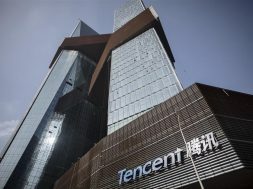 According to the Clean Technica website, GTM Research and its parent company Wood Mackenzie had originally predicted that China might install up to 48 GW worth of new solar electric capacity in 2018, but following this new move by the China government, they had revised their forecast down to 28.8 GW new installed capacity by the end of 2018. This move resulted in the share prices of many listed solar electricity-related manufacturers and their upstream suppliers to plunge, and too many complaints from and panic amongst those in the industry. The problem was because the Renewable Energy Development Fund, from which subsidies are paid, had only one source of income – i.e. a renewable energy surcharge which currently stands at 0.019 yuan per kilowatt hour on electricity bills, which is collected by electricity utilities from their end customers. This current surcharge had been adjusted five times prior. So, whilst electricity prices were fixed, costs of solar PV development fell and this created an enormous potential for profit, which encouraged investment in the sector, which fuelled exponential growth in solar PV installations, especially distributed solar installations. The first adjustment to the surcharge made in 2017 was an 11.9% reduction from 0.42 to 0.37 yuan per kilowatt hour. However, during that same period, the price of polycrystalline silicon panels (which make up 60% of the cost of solar installations) fell 37.8% from 3.9 yuan per watt in 2013 to 2.4 yuan per watt in 2018 – a drop of 38.5%, whilst the cost of monocrystalline silicon panels fell by 37.8% to 2.5 yuan. Such runaway growth outstripped the available funds for subsidies and according to figures from the NEA, accumulated shortfall in renewable subsidies stood at 112.7 billion yuan as of the end of 2017, with 45.5 billion yuan due to the solar PV sector. 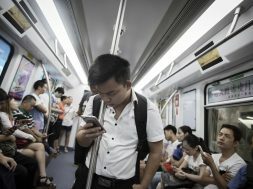 For every additional 10 gigawatts of distributed solar electricity generated requires an additional four billion yuan in subsidies to be found – or 80 billion yuan over a 20-year period. 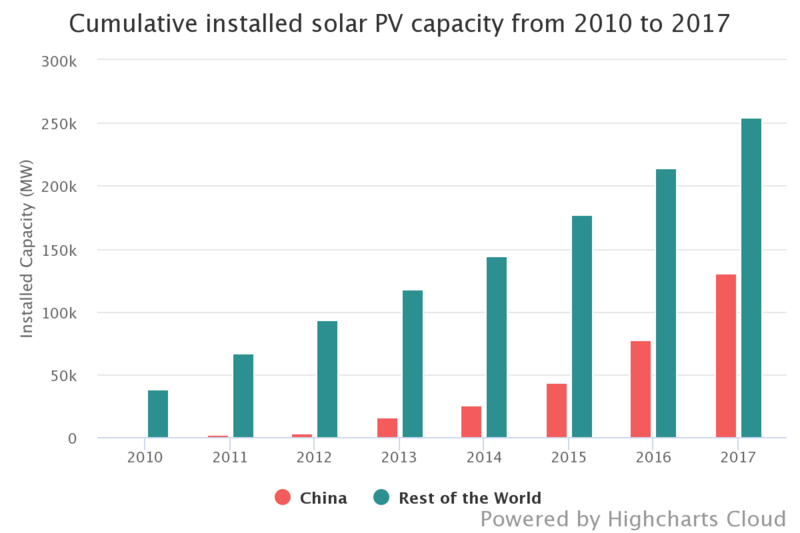 Thus maintaining these subsidies had become unsustainable for China’s government and as solar PV manufacturers have expanded rapidly to meet demand, the industry increasingly faced the risk of overcapacity. So the government dropped the subsidies across the three regions respectively from 0.90, 0.95 and 1.00 yuan per kilowatt hour to 0.50, 0.60 and 0.70 yuan per kilowatt hour across the three regions, whilst the subsidy for distributed solar was dropped from 0.37 yuan to 0.32 yuan per kilowatt hour, the second subsidy cut in less than 12 months, following the reduction from 0.42 yuan to 0.37 yuan per kilowatt hour in December 2017. This new policy which came into effect immediately it was announced has no target for the construction of solar farms and orders local governments not to approve solar farms which require subsidies. However, the new policy would have the biggest impact on distributed solar projects, such as small-scale commercial and consumer rooftop installations, which previously were not limited. Now, with a target in place of 10 gigawatts of new distributed solar capacity, the entire target for 2018 would have been reached in the first three months of that year. In response to questions with regards its new policy, the NEA said that it would encourage firms to shift their reliance from government policy to the market. This is expected to help eliminate excess capacity, encourage technological improvements, end the sector’s irrational expansion, and concentrate resources in stronger firms. The industry has calmed down with regards its future after its initial panic. For instance, according to Sun Yunlin from Winone Solar, at current electricity prices in Guangdong province, investment in solar PV electricity will be viable if prices of solar cells drop to between 1.8 and 2 yuan per watt, and his company expected prices to drop to 2 yuan per watt by at the end of 2018. Some industry insiders are even more optimistic. 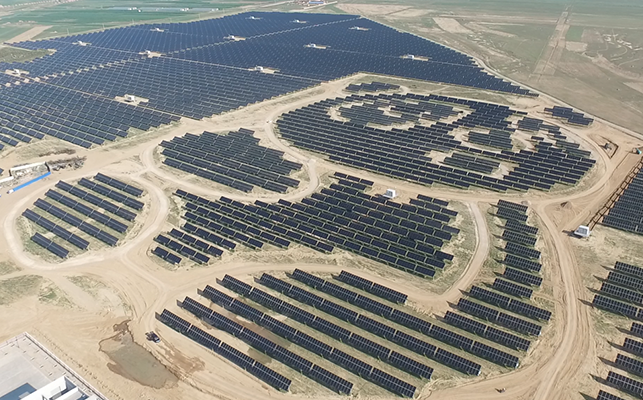 Four days prior to the release of the new policy Liu Hanyuan, chair of the Tongwei Group, said at the 12th International Solar and Smart Energy Exhibition that innovation and further economies of scale could help costs of solar match coal-fired power across most of China. Meng Xiangan, deputy director of the China Renewable Energy Society, said that it is now time for the sector to “find its place in the overall market”.